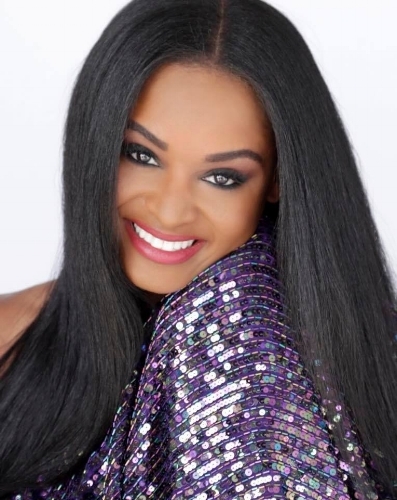 Shreveport-Bossier, Louisiana is gearing up for a celebration of beauty as 52 of the United States of America's most beautiful young women descend on the twin cities to compete for this year's Miss USA and Miss Teen USA titles. One of the 51 beauties representing the 50 states and the District of Columbia will be crowned Miss USA 2018 on May 21st. She will go on to represent the USA at Miss Universe 2018. As the delegates make their way to Louisiana, we thought we'd share out pre-arrival favorites with you! THE CROWN CONTENDERS: The game's not over until the crown is placed on your head. These are the women we believe, for now, might take it all on May 21st. What a face! We are sure that you will see from this photo why we have Lauren as crown contender. She also has an interesting story, which we know is important in the IMG era, as they try to rebrand the pageant. They haven't won in 36 years and this year they might just have something to celebrate. Could it be a threepeat for the District of Columbia? We would definitely love a Miss USA who look like this. All eyes will be on her though. Does she have the charm of her predecessors? Thanks to Shanna Moakler's expert guidance, Nevada has gone from a state that rarely got noticed to one that is always making waves. We love that Carolina is coming across as glamorous yet effortless in this photo. We will keep a close eye on her. Will she become the darling of America? Despite enduring bullying at school, she has become a confidently beautiful women... and we think she has the best name! South Carolina usually sends strong girls and Tori is no exception. They haven't won since 1994, but she has a good shot. We need to see more of her though. THE SAFE BETS: The ones we are expecting to perform well due to a strong sash or just being solid, experienced competitors. Standing at a towering 6'2, Kelley was the 2nd runner-up to Miss America 2015. She is definitely one to watch. Genesis represented Puerto Rico at Miss Intercontinental and Miss World. She was a finalist for Miss 52 USA. Then she won Miss Florida USA, only to be dethroned, and came back a year later (under a new State Director) and won it again! She is going to fight for this one! The home state girl and a pageant fan. What more can we say! She's tall, striking, ambitious and accomplished. IMG requirements, we think! SPOILERS: These girls might not have strong sashes or they might not be getting all the hype, but they sure have what it takes to make an impression.